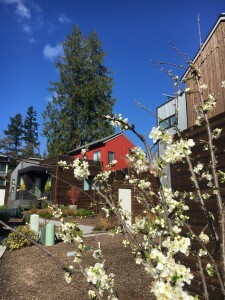 1002 Nakata Ave NW on Bainbridge Island. The great room showing new wood floors and custom propane fireplace. 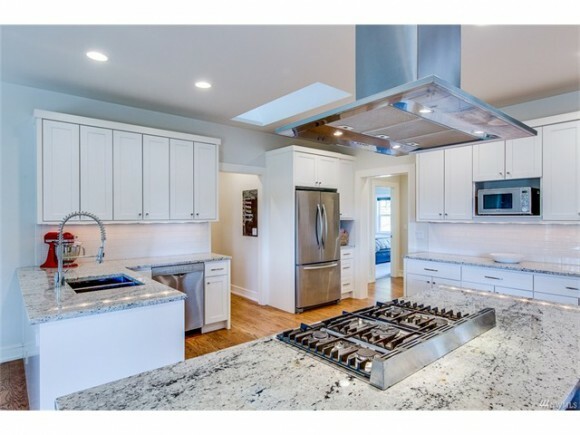 Amazing entertaining kitchen with quartz counters, stainless steel appliances and quality fixtures. 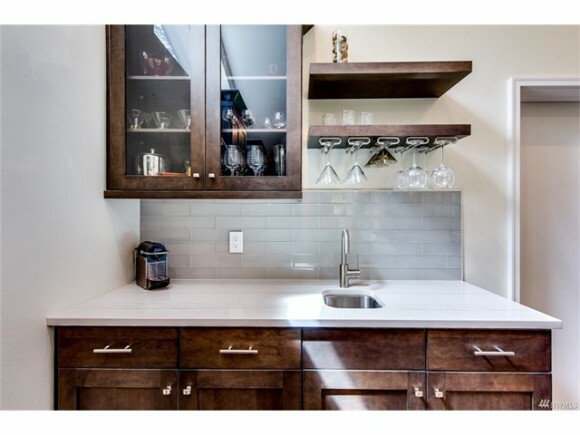 Great coffee bar or cocktail bar in the large kitchen. Master bedroom suite has a full spa-like bathroom and extra large den; a great space for a private office or sunny exercise room. 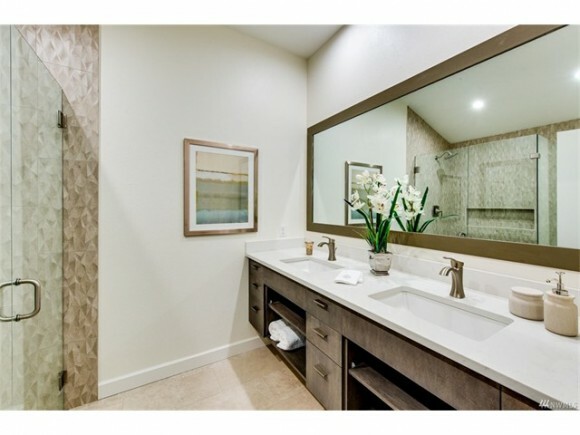 Spa like master bathroom with double sinks and large custom tile shower. 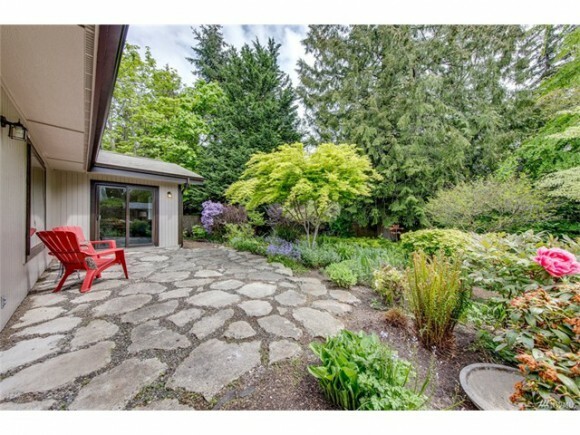 Private, fenced backyard with mature and colorful plantings. 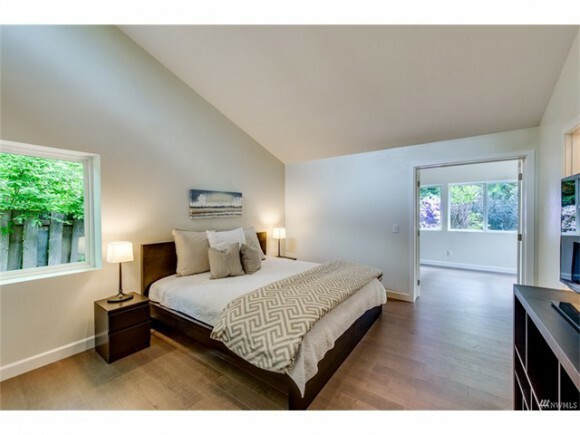 Impressive modern remodel of this one-level, open-floorplan home tucked away on a quiet street in the heart of Winslow. Vaulted ceilings and clerestory windows highlight the new entertaining kitchen with quality cabinetry, stainless steel appliances and quartz counters. 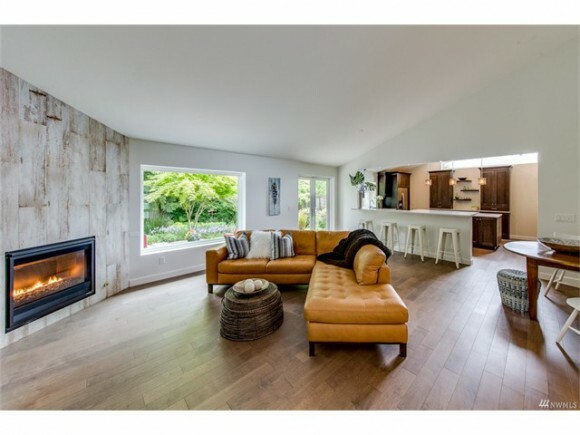 Great room with a custom propane fireplace and wood floors opens to a private backyard with colorful, mature landscaping. Spa-like finishes in new baths. New window package and paint. Close to shops, pool, library, schools, parks and ferry. Click here to see the full Windermere listing detail. Visit this home’s dedicated website here. 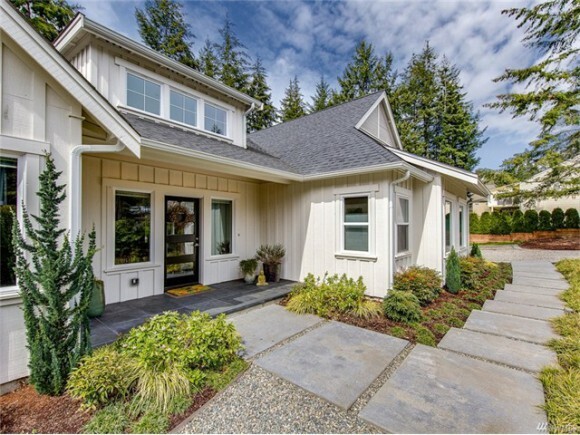 In many ways, the first quarter of 2017 reflected the past two years of the Bainbridge Island real estate market and, for that matter, the markets of most of the neighborhoods around us. Seasonably low inventories limit buyers’ choices early in every year. Meanwhile, inclement weather (which we believe had a greater than normal influence this year) tends to dampen the enthusiasm of sellers getting homes ready as well as buyers who would rather stay in than venture out to go look at properties. Finally, there’s a perception that the market doesn’t really “begin” until spring. These factors all conspire year after year to make the first quarter the quietest. Looking back to 2016, there were 72 residential transactions (defined as both homes and condominiums) in the first quarter, compared to 129 in the second quarter, 156 in the third and even 117 in the fourth (also perceived as a slow quarter). So we were prepared for the “slow time” this year. We hoped for more inventory because we knew there was demand. As it turned out, in spite of the weather, we got a little bit of what we wanted. We had 83 residential home and condominium sales in the first quarter of 2017, up 15% from last year’s 72. It should not be a surprise that our active inventory (homes not under contract) was up 29% from last year when measured on February 2nd. In a sellers’ market, inventory is the fuel that pushes the machine (as opposed to buyers being the fuel in a market they control). But there’s a footnote to these numbers: the condominium market had 27 sales – the best first quarter we’ve had since 2007 – and condominium sales were up 68.8% over last year’s first quarter figures. If we set aside the increase in condominium sales, our first quarter sales were essentially flat. The first is to sell the home within an acceptable timeframe. On the chart below, you’ll see the “active” inventory (homes that haven’t sold) is higher than it’s been since 2013. Also, even if you have an interested buyer, it doesn’t necessarily mean that buyer will end up purchasing the home. This quarter, there were 16 “failed sales” or homes that fell out of contract, down from 37 last year. Sales fail for all sorts of reasons: buyer’s remorse, which can come from price; realization of property condition; and reality checks are the most common. Also, getting the home sold in an acceptable timeframe is important to most sellers. In this past quarter, the average days on market was 71, up 22% from 2016! Yes, some homes sell right away, but they are usually the exception. The second goal is to maximize the net yield to the seller. Condition, disclosures and presentation all affect buyer perception and price consideration. 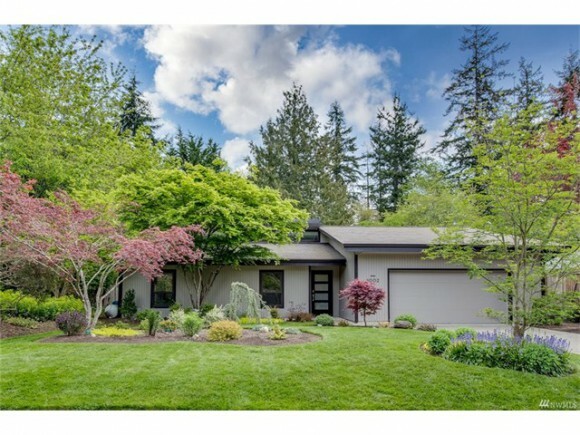 Buyers are smarter than ever, especially on Bainbridge. They usually conduct their own market research online and on foot and are often represented by professional agents. Now, as always, we need inventory for buyers to make choices. They will not just buy anything at any price, and their price ceilings are dictated by their perception of value. It’s true there are some multiple offers, but only 29% of homes sold in the first quarter went for over asking price (which may be fewer than some people would think) and the percentage of the overage was a scant ~3%. The boom of 2007 was not that long ago and most buyers (and their agents) clearly remember the risks of overpaying. Yes we’re in a sellers’ market, and yes there are multiple offers, and yes prices are rising. 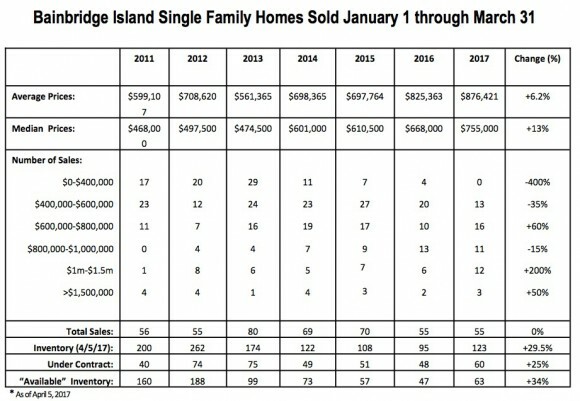 But Bainbridge is not Seattle; our market is smaller, less active and has a smaller (and, frankly, a bit smarter) buyer pool. To gain maximum benefit from this market, sellers should keep all this in mind (which is what professional real estate agents do). It’s also important to consider the buyer’s perspective, where there is another labyrinth to negotiate. 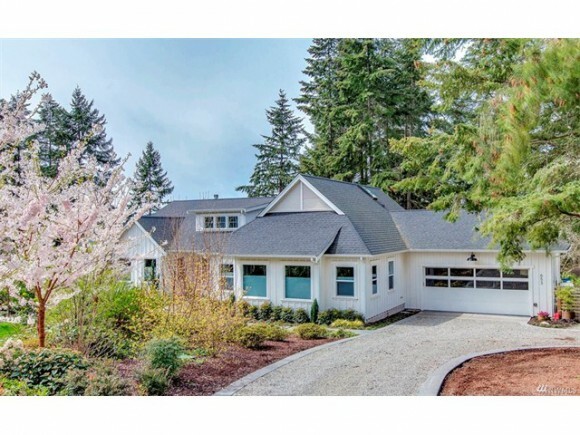 About 40% of Bainbridge sellers end up on the other side of the table when they later become Bainbridge buyers, so they eventually experience the flip side of our market. Working with an experienced professional will help you achieve the best result and understand the many nuances, whichever role you occupy in the Island real estate market. So let’s dive in together into this busy season. It’s going to be an exciting ride. Happy to present my newest listing in Winslow built by one of my favorite local builders, Jefferson Fine Home Builders. 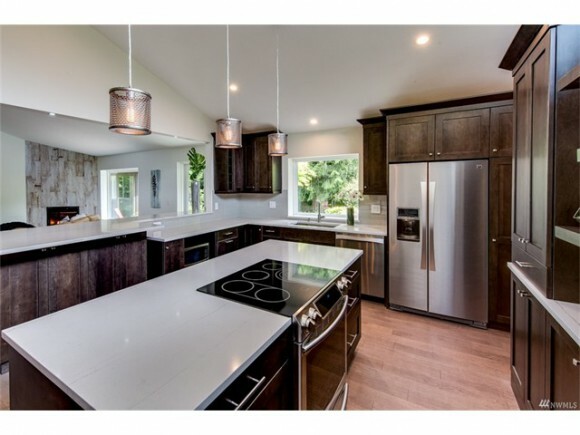 Only two years young, this home, built in 2015, has clean lines, modern style and one level of living. Quality construction in the heart of Winslow, walking distance to everything convenient, especially the ferry. 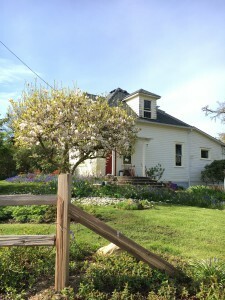 The home is open Sunday (5/7) from 1-4pm or contact me for a private showing. 653 Horizon View Place NW on Bainbridge Island. Quality Construction by Jefferson Fine Home Builders. 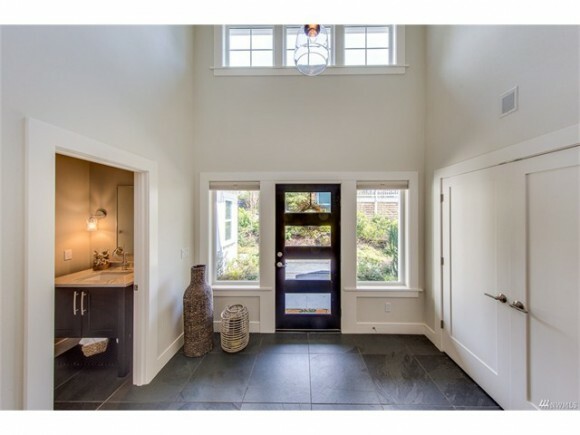 Gracious entry with slate tile and vaulted ceilings. A bright white chef’s kitchen. Perfect for entertaining. A view from the kitchen into the great room. Plenty of run around space on this .30 acre fenced lot. A gate in the fence has easy access to Rotary Park, your neighbor. Better than new! An urban oasis with easy access to downtown Winslow, the Seattle Ferry and schools. Quality construction by Jefferson Fine Home Builders. 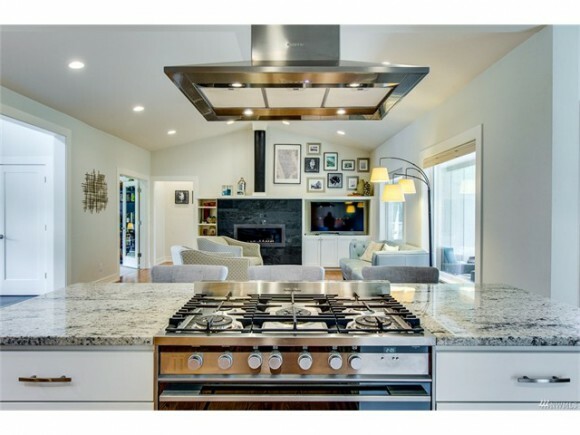 Smart one level floor plan has clean lines and impressive modern finishes including hardwoods, granite counters, SS kitchen, slate entry, ribbon fireplace, convenient built-ins, and modern light fixtures. Excellent western exposure from your back deck and adjacent to Rotary Park and popular Owen’s Playground. 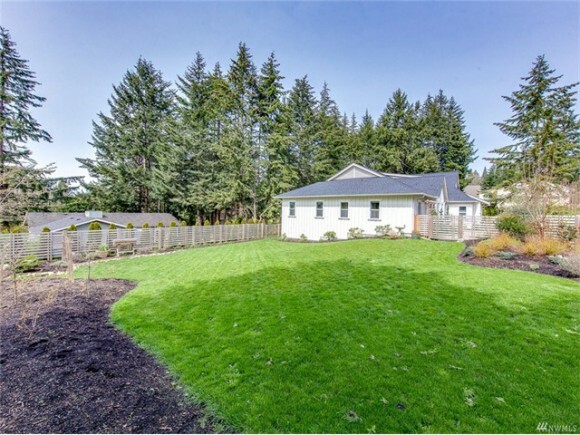 Mature landscaping and privacy fencing round out the package. For more details about the home visit the Windermere Listing here.